Cornerstone content, massive value posts, pillar articles, long-form content – Call them whatever you want! The fact is that it’s these kinds of monstrous pieces of content that’s going to get you and your blog noticed in 2019. 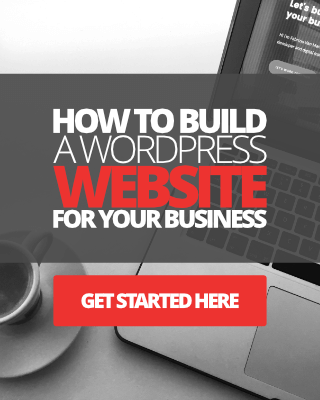 In this post, you’ll learn how to create cornerstone content that will mesmerize your readers, get folks talking about your blog in every corner of the blogosphere, and help you to skyrocket the growth of your email list. When crafted with care, Massive Value Posts (I call them cornerstone content, personally) have the ability to pull in huge amounts of traffic, readers, comments, social media shares, and even backlinks to your blog. Think of one, single, in-depth, article that you recently read and perhaps even linked to from your own blog. Now think of how many websites and blogs out there in your niche that have done exactly the same thing. Great content demands attention and folks will link to any piece of content they feel that provides HUGE value. If for any reason you are still confused as to what a piece of cornerstone content is, let me explain using clear context. A piece of cornerstone content, or often referred to as a pillar article, is simply a page or post on your blog that covers a specific topic in great, great depth. By great depth, I mean cornerstone content covers literally everything there is to possibly know about a topic. These massive value posts (MVPs) are lengthy too. 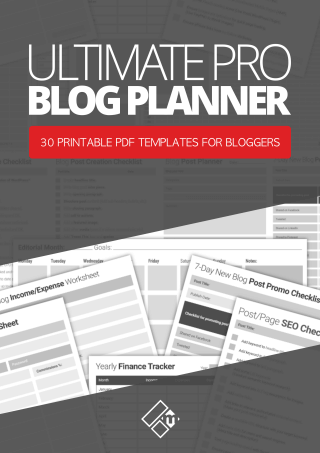 They’re not your average 800 or even 1,000-word blog posts, they’re huge! Try 2,000 words or more! Heck, I’ve seen some cornerstone articles to be in excess of 5,000 words in length. But all that said, it’s not the word count that matters in a piece of cornerstone content, it’s how much value it provides. A 2,000-word blog post that’s filled with obvious and generic crap doesn’t count as a cornerstone article. I must stress that we’re talking about content, so that doesn’t just mean contextual or blog posts. A cornerstone article can be made up of many pieces of multimedia. Here are some of the things that make up a cornerstone blog post. Photos, images, infographics, screenshots, charts, and graphs. Statistics, facts, and other relevant data. Podcasts and other audio content. Links to relevant articles, tools, resources, etc. Input from thought leaders and influencers. User-generated content in the form of blog comments too. So, if you truly want to create an epic blog post that will blow everything else out of the water, create a cornerstone content for your blog. Create a blog post that aims to solve a single problem for your readers, and tackle it from every possible angle. How much time does it take to create these massive value blog articles? I’m sure you’re all fired up now to go and write a BIG blog post and get it published, but just hold fire a little longer. Cornerstone content takes time, energy, and an incredible amount of research and resources to put together properly. You just can’t sit down at your computer and decide that you’re going to bash out a massive blog post in an hour or two. It might be possible, I don’t know how fast you are able to type and do your research and everything else but know that these kinds of posts take time to put together properly. You’re looking at days or even a few weeks. If you know nothing about the topic you want to create your cornerstone article for, then research and learning are going to take you some time. Then there’s gathering important data, collecting statistics, finding case-studies, embedding videos and customizing graphics, and so on. And all of this is before you’ve even written a single sentence for your post. If all of this sounds like too much hard work, then continue on your way to creating mediocre content like every other blogger out there is doing. But, if you’re ready to start creating some truly epic ‘traffic magnetic’ content for your blog, then read on my friend. 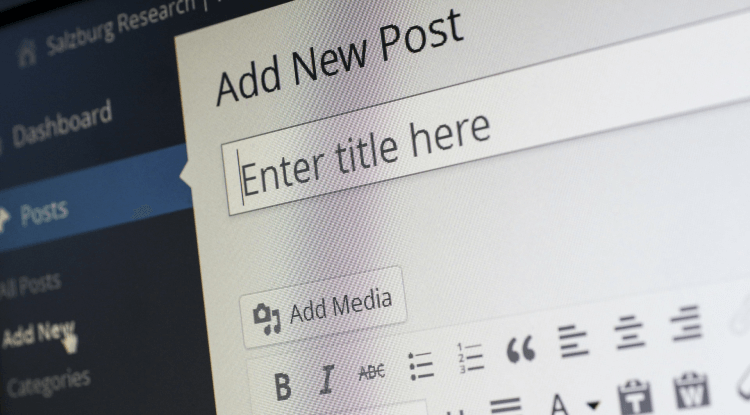 While using the “post” format is great for creating cornerstone blog articles, some bloggers prefer to dedicate the “static page” (WordPress) for creating their flagship content. One of the reasons for this is because most types of cornerstone articles will not require updating as often as standard blog posts. “Static pages” are great for creating evergreen content, while “posts’ are great for creating time-sensitive content. That being said, I prefer to use “post” formats as opposed to “static Pages” for almost all my massive value posts. 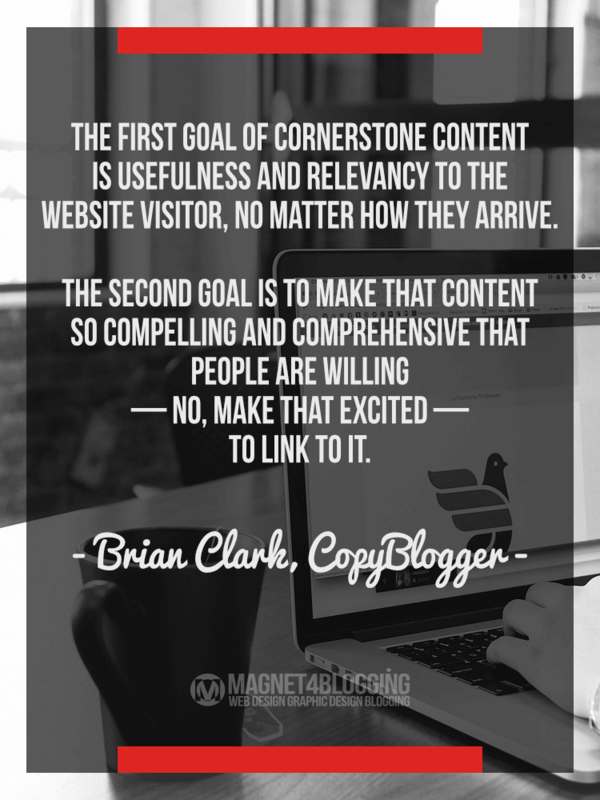 What are the benefits of creating cornerstone content? Finally, before we dive into the steps for creating epic cornerstone content from for your blog, let’s take a quick look at some of the benefits of creating these kinds of articles for your blog or website. They provide incredible value, resource, and real solutions to problems that your readers might be experiencing. 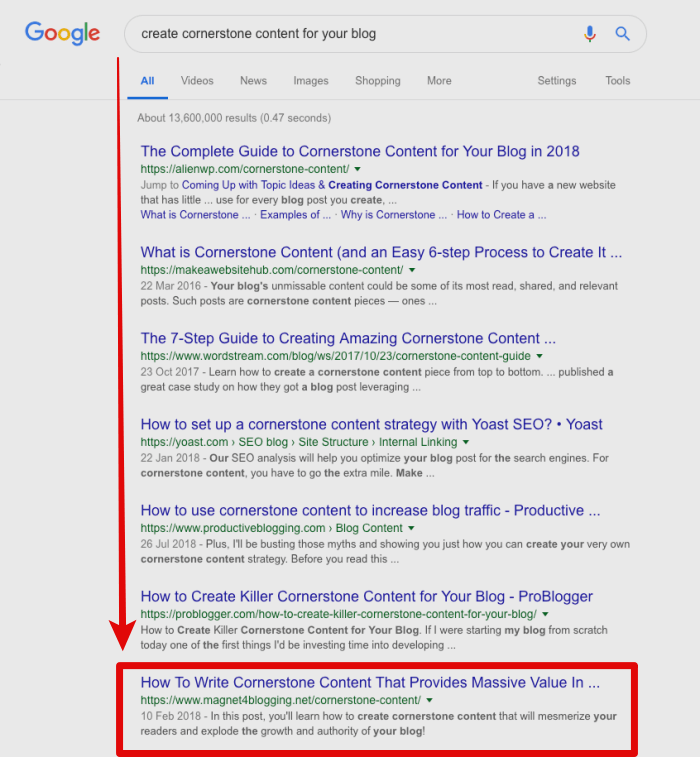 Google loves these kinds of blog posts, so your cornerstone content articles should rank reasonably well in the search engines. In fact, at the time of updating this post (December 2018), this cornerstone article you’re reading right now is ranking at number 7 on page 1 of Google! Against some pretty tough competition too. (See image below). They can attract a ton of traffic, drive new readers, and boost blog engagement. People are more compelled to share cornerstone content on social media. They can attract backlinks naturally from other authority blogs. 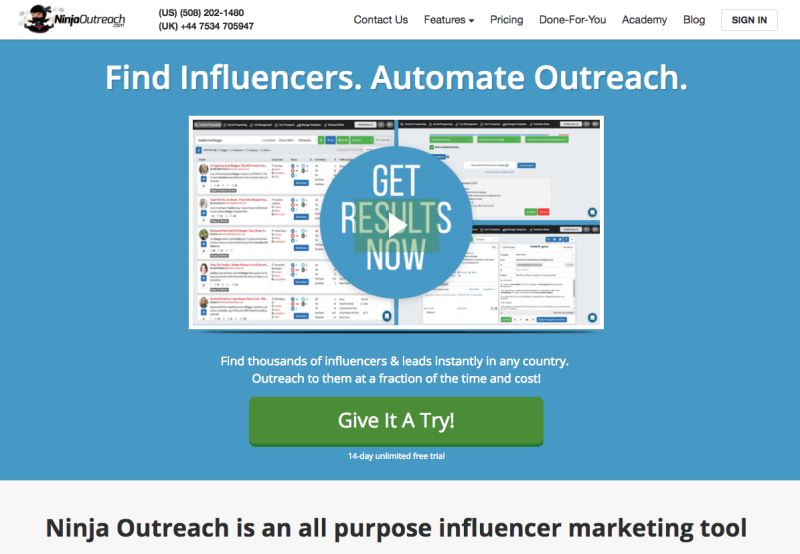 They can help boost your blog’s credibility and authority. One blogger who’s truly dedicated to creating epic cornerstone content is, of course, Neil Patel from NeilPatel.com. Pat Flynn is also renown for providing massive value posts on his blog too, as so are bloggers like Ashley Faulkes from Madlemmings. 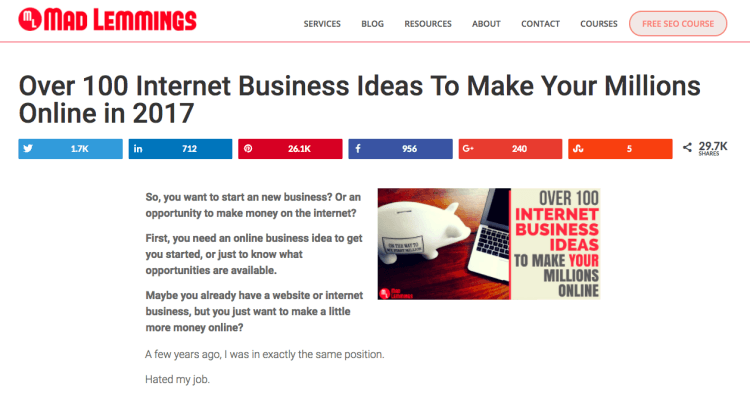 In fact, just check out Ashley’s post titled Over 100 Online Business Ideas To Make Your Millions In 2017. You really can’t get more epic than that. Ashley’s post is a fine example of a super-charged piece of cornerstone content. His post to date has attracted nearly 30k shares on social media! Many of the articles we publish here on Magnet4Blogging are over 1,500 words in length, some, like this one, are well over 3,000 words long. But again, it’s not all about bulking up the word count that counts, it’s about providing incredible value. Blog interviews and expert roundup posts also make for great MVPs. “50 Groundbreaking Blog Posts That Profoundly Changed My Life”. The possibilities are endless with cornerstone content articles. Right, so I think you get the idea of what cornerstone content posts are, how valuable they can be to your blog and the reasons for creating them. Let’s now take a look at the steps required for creating an epic piece of cornerstone article that’s going to blast your blog with traffic, send swathes of comments and backlinks to your blog, and flood the social network sites with your post shares. Well, not quite that dramatic, but close enough. I know that this might sound like obvious advice, but seriously, you really have to know who you are writing for to make your pillar posts work well. If you have a loyal following for your blog already, and you positively understand your reader’s needs and wants, then you’ll know exactly what your readers will respond to content wise. If you’re just starting out and trying to build a community for your blog, ensure you’re doing everything you can to learn what your readers are looking for from your content. Learn as much as you can. Find out what they love most about your blog and reading your content. Learn about their problems. Ask them questions, invite them for a chat even. Do whatever it takes. If you feel that you’re in tune with your audience and understand their needs relatively well, you can begin putting topic ideas down on paper for your cornerstone content. The next step is to do a little keyword research, however, this isn’t always crucial and I’ll explain why next. While I don’t usually promote the subject of “creating content for search engines”, in order for your content to get found in Google and other search engines, it’s wise to do a little keyword research first. After all, people use search engines to find solutions to their problems, right? So ensure your keyword research takes into consideration what your audience is looking for from your blog, as a solution to whatever problem they might be experiencing. Use Google Analytics, Google Webmaster, AdWords Keyword Planner or a keyword research tool like Long Tail Pro to help you find, research and determine which keywords or phrases are going to be most relevant to your cornerstone content topic. There’s a comprehensive guide on CopyBlogger that teaches you how to do keyword research properly if you’re interested in reading it. Your cornerstone content needs to be valuable and informative, that’s definitely agreed on all sides, right? But, at the same time, it also needs to be factually accurate. If you’re providing theories or making claims in your content, ensure you back them up with real facts and some evidence at least. You can do this by researching the topic you want to write about thoroughly. Learn everything there is to possibly know about the topic before you start writing a single sentence. Source relevant statistics, facts, and data that you can use in your content as well. Check out this post to help you find and use relevant data and statistics in your blog posts. In addition, don’t just add to the noise of what has already been said. This is in fact very critical. Share your own views and perspectives. Add something new to the subject matter, something that hasn’t been discussed before. As I said at the beginning of this post, writing cornerstone articles takes time and a serious amount of effort on your part. We’re talking about hours, days, or even weeks, depending on how in-depth you decide to go with your topic. Don’t be in such a hurry to finish writing your cornerstone post just so that you can get something out on your blog to promote. Here are some extra tips for writing long-form blog posts. Block out your time for writing and don’t let anything get in the way of that time. Guard it with your life! Organize the structure of your cornerstone content properly. This includes placing your headline titles in the right places, adding sub-headers, intros, paragraphs, closing chapter, conclusion etc, all before writing. You can always reorganize them later on. Take frequent breaks in between writing to keep your mind fresh and ideas flowing. Set a timer by your side. I use the Focus Keeper app on my iPhone to keep tabs on my productivity and break times. Don’t edit anything, just focus on writing, regardless of how long it takes you. Avoid too many distractions, listen to some ambient music if that’s your kinda thing! I love listening to ambient electronic space music whilst I’m writing my blog posts. It really helps me to go into deep thought about my topic. Write when you’re feeling the most refreshed and alert. Avoid writing when you’re mentally drained. This is a pretty big one since it’s what makes a cornerstone content what it is. Massive value posts aren’t just made up of blocks of simple linear contextual words, they’re made up of other types of content as discussed earlier. Images help to break up your content and give your readers some new perspective to focus on, so make them interesting and relevant. Screen captures and infographics can be powerful too. These can help your readers explore deeper into your content and visualize what it is you’re trying to teach them. Graphics also helps you to support your theories, so as video and audio content. As well as sharing your own insights, ideas, techniques, theories and so on, consider bringing in the fresh minds and perspectives of other credible experts. This is a fantastic way and opportunity to not only add even more value to your cornerstone posts but to also boost your article’s authority and credibility! Reach out to a few higher-up bloggers in your niche or industry to ask for their input. You can use tools like Ninja Outreach to help you with this. Get them to answer a few questions to put into your cornerstone post. Maybe a few useful quotes, or how about doing a mini interview? Carefully link out to other external relevant content that you think could add value to your cornerstone post. 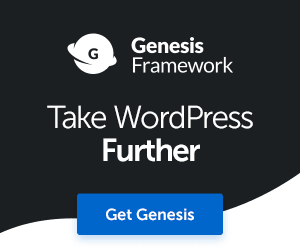 You’ll notice that I’ve already mentioned several other relevant articles outside of this blog to add even more value to this post and the topic of writing cornerstone content. Pick sites that have a lot of weight in terms of authority and credibility. Once everything is done and dusted nicely… it’s time to start editing the raw stuff and polishing up your cornerstone article. Editing is refining your post, making it not just good, but super epic for your readers to read, engage with, and take action upon. This can take just as much time as writing the post itself. Don’t edit your post straight after you’ve written it. Take a break, take a very long break actually. Heck, why not even take a day or two? Then, come back to it and start editing and proofreading. I guarantee that you’ll end up making more changes than you imagined you would. Read it again and again until you’re 1,000% satisfied that your cornerstone article reads and sounds not only great but convincing too! 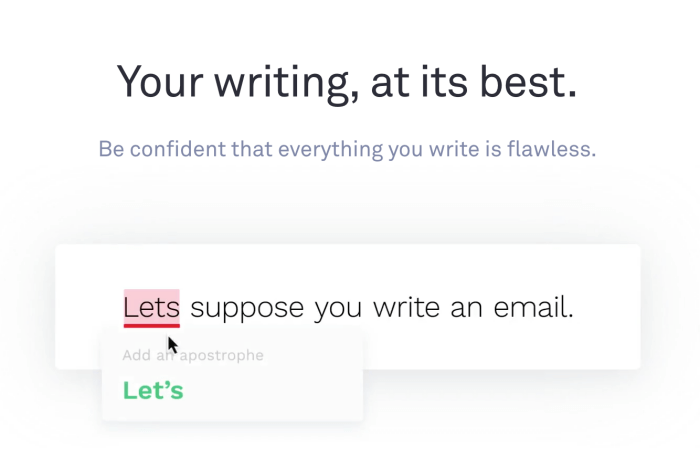 Make use of tools like Grammarly to help you check for spelling and grammatical errors. Then take another break… Maybe sleep on it for one more night. Go back to it the next day and make your final edit. If you want to, get someone else to proofread it out loud for you. I know this can be daunting and awkward at first, but a family member can never go wrong. Tip: If you’re too quick to get your pillar post published without proofreading it properly, I guarantee you that you’ll lose sleep over it, trust me, I know… I’ve done this many times, published a great post, then gone back to it to change some of it because I simply wasn’t 100% happy with it. #09 Get your cornerstone content optimized for search engines! Once everything is in place and you’re 1,110% happy with your piece of cornerstone content, optimize it for search engines the best you can, but don’t over stress with it. With your proofreading and final edits behind you. With your post optimized for search engines. Only then should you hit that ‘Publish’ button’, or you might want to schedule your post and sleep on it for one more night. Once your cornerstone content is live for the whole world to see, you can start the onslaught of promoting it like crazy. You’ll find this post useful because 23 smart pro bloggers share their best methods for promoting new blog posts, make sure you check it out. Wow, we’ve come to the end of the post. I hope you’ve enjoyed reading it, and you’ll hopefully be motivated to start writing more cornerstone content articles for your blog. I want to wish you the very best of luck, and remember, if you need further help or have any questions, please get in touch with me, that’s what I’m here for, TO HELP YOU. Once again, I wish you all the best – Now go and create some truly amazing cornerstone content for your blog. Love this! You are so right on so many points. I generally create posts from 400-800 words, but something like what you outlined here can also be “sliced and diced” into tweets, status updates and even an infographic, so it is well worth the effort! Thanks for the great post! Hi Lisa thanks for your comment. There is nothing wrong with writing 400 to 800 word blog posts, if you’re able to write something special and offer something valuable then it’s perfect from time to time. I love a combination of both pillar content and high quality filler posts too. Have a great day hope to see you here again soon. You are right; this is really a cornerstone post; one more thing that I didn’t notice in your post; to add internal links of all your posts in cornerstone post having same or almost same keywords. In this way your cornerstone post will take your readers to the most relevant other posts of your blog. So far I haven’t written any such posts on my blog, but after reading your post here I got lot of motivation to write some cornerstone posts soon. Thanks buddy. I see these comments are a bit dated, so I hope this comment reaches you. I have one big question about this that I cannot wrap my head around. It has to do with cornerstone content and structure. Cornerstone content is so good, it reaches page 1 of Google because it is thorough and in-depth. Then other helpful articles are connected to this, keeping the reader engaged? Stop me if I am incorrect. If your cornerstone piece gets hit after a Google inquiry, then great. But what if people visit your brand page directly? Where do they start? I have read that cornerstone content should be front and center, as in its the first thing new visitors read. So that would mean, this post here should be easily front and center for new visitors who have done a brand seach? I guess that is what the sidebar is for? 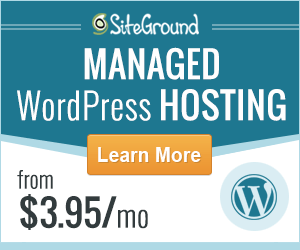 This must be cornerstone content… http://www.magnet4blogging.net/wordpress-setup-guide/? Easily accessible via the sidebar at all times. I am a real estate agent in the US. Ive had my site structure all wrong. But I am torn between cornerstone post or cornerstone page. Say people want to Buy a House. My cornerstone page should be a complete, 5,000 word Buyers guide, explain the process from start to finish. But how do they find this content? Leave it on the sidebar within the blog, or make it a page on the main menu to please the Google crawl bots? Getting started on structure is what I am missing. I guess, the other option would be like what you have here. The main menu would say Buying, Selling, but would consist of my services…my expertise in these areas, a sales page for you to hire me? All cornerstone content within the blog? Hey thanks for your comment and a very good one at that. Now this is something I’ve actually thought about so many times myself. When I started structuring cornerstone content, I was putting everything in a blog post. I thought it would be easier for folks to find. But then I realised something, I placed dates on my posts, so three years down the line, someone might find my content and think “ahh this is well dated, forget it”. Even thought the content may have been valuable to them. So quite some time back I removed the comments from my blog, it was my choice and I’ve had much better reader engagement and time on site since doing so. I know this won’t work for everyone and some folks have their own views with removing dates from posts. What I do in addition to having some of my top cornerstone content featured in my sidebar, is also have them featured on the homepage. I also have a dedicated pages where I’ve consolidated the cornerstone content for specific topics and subjects. If you have pages dedicated to selling something i.e. sales pages, services pages, it’s also a good idea to have links to some of the related cornerstone content too, something solid to encourage buyers. I’ve found this to work great. Then there’s the argument that if you create so many of these cornerstone content posts, how on earth do you make them all visible to folks landing on other pages, i.e. your about page, blog archive pages, testimonial pages etc. I mean theres only so much you can stuff in the sidebar right? Interesting question and I guess there’s so many ways around it. I would most definitely opt in to creating cornerstone content posts, and use static pages to bring together the collection of cornerstone content. Say you have 20 cornerstone articles on buying a home, like finding a property, organising a solicitor, exchanging contracts, etc. You can consolidate all of these cornerstone articles in a pillar page and add it somewhere visible on your site. Thanks for taking the time to read the post and leaving a comment. content, they will beeline straight for it.